The schools and colleges of the Diocese of WA aspire to educate and form students who are challenged to live the gospel of Jesus Christ and who are literate in the Catholic and broader Christian tradition so that they might participate critically and authentically in faith contexts and wider society. 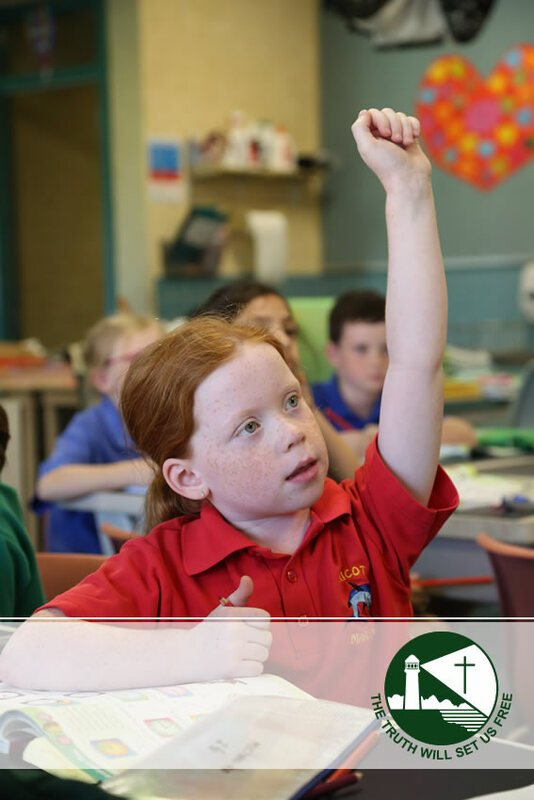 Religious Education seeks to develop the religious literacy of students in light of the Catholic Christian tradition, so that they might participate critically and authentically in contemporary culture. Students become religiously literate as they develop the knowledge, skills and dispositions to interpret and use language confidently in and for faith contexts and the wider society. Religious Education in the classroom setting is approached with the same educational methodology as any other Key Learning Area within the school’s curriculum. Teachers use a Religious Education programme mandated by the Bishop; they collaboratively plan and teach Religious Education lessons using a variety of engaging and practical strategies, many of which are also used in other learning areas; they assess the content and skills which have been taught; and report regularly to parents. Francis Jordan Catholic School recognises the developmental needs of students. We have successfully implemented the Early Years Curriculum Guidelines, and the Western Australian Curriculum is being implemented as it is phased in. We recognise the vital role in children’s brain development of play-based problem-solving with other children, and the roles of adults in inquiry-based learning: supporting, scaffolding, facilitating and monitoring learning. While covering all Learning Areas as required by the Western Australian Curriculum, a variety of learning area focuses are developed by teachers throughout the school, allowing for the interests and developmental needs of students, with contexts developed to incorporate essential content, skills and processes within areas of interest. Through the inclusion and integration of Social and Emotional Learning, Francis Jordan Catholic School strives to not only recognise, but to celebrate the successes and development of each individual. The vision for contemporary learning across Catholic Education in Western Australia is for Information Communication Technology (ICT) to be integral to learning and teaching in our schools to empower our students in an ever changing world. The school site is wirelessly networked, with extensive use of email as a communication tool for staff and parents. All students access our Technology Hub, which contains 35 desktop computers, and a data projector, for weekly skills lessons. Years 4-6 students have a one-to-one device program using Surface Pro. All students in PrePrimary to Year 6 utilise interactive TVs for everyday use in the classroom. All students have access to laptop computers or devices for everyday use in their classrooms, across all learning areas. It has been a priority of Francis Jordan Catholic School to build on current access for all students on a daily basis with our main purpose to expose all students to a multitude of devices including Surface Pros, desktops, windows, Office 365, One Note etc. Francis Jordan Catholic School has a strong tradition of student leadership. All students at Francis Jordan are encouraged to show and develop leadership skills. Our Student Leadership opportunities provide all students with leadership training and skill development as well as opportunities to experience positions of responsibility. Leadership opportunities can range from daily classroom jobs to later being a Year 6 School Leader. Students relish the opportunity to make decisions, take on responsibility and have an input into the direction of our School. Our teachers value the opinions of the many young and creative minds they are guiding and are constantly amazed by the inspiring ideas and capable organisation of our students. Students will be identified through a selection process. In their roles as Leaders they will contribute to the school and develop their personal character and leadership skills. Head Boy and Head Girl: In Term 4, two Year 5 Students will be selected to fulfil these positions. House Captains: In Term 4, House Captains for each House (Xavier Rays, Salvatorian Sharks, Kolbe Dolphins, Jaricot Marlins) will be selected from Year 5 students. There will be two captains and two vice-captains in each House (16 positions in total). Educational excursions and school camps are important learning and socialising experiences that may be undertaken by class teachers to enrich classroom experiences. Parents/guardians are advised by class teachers of the details of excursions. Since learning experiences are integrated into, and become part of the school programme, children who are prevented from attending can be seriously disadvantaged and this can be reflected in school results. All requests for exemption must be referred to the Principal. At times, parents are invited to attend excursions/camps, according to our policy.